Slab of marble broken into nine pieces and found reused as building material in the area of Domus I in the southeastern part of the site, now in the Historical Museum in Bucharest (inv. 18704; 97 x 45 x 5 cm). A relief in the pediment depicts the Mother of the gods seated on a throne with crown and mantle. She holds a drum in her left hand and a libation bowl in her right hand. Lions appear on either side with bulls' heads between their forepaws. 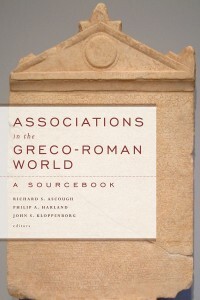 Several different organizations and associations were included as recipients of Aba's benefactions, including groups of Poseidon-devotees (Tauriasts), Herakles-devotees (Herakleists), hymn-singers, craftsmen, and physicians, as well as a neighbourhood group. The Tauriasts are attested in two other second–century BCE inscriptions from Histria, one of which clarifies that its members celebrated the Tauria festival in honor of Poseidon (IHistria 60.6 [II BCE ]; cf. IHistria 61; IEph 2075 [I CE ]). To good fortune. The Council and the People resolved: Ulpius Demetrios made the proposal and Diogenes son of Theodoros put it to the vote: Since Aba–daughter of Hekataios, grand-daughter of Euxenides, and wife of Herakon son of Aristomachos–being among the distinguished women and coming from the most remarkable family, does not avoid any noble honor or service but rather has fulfilled her role in crown-bearing positions, priesthoods, leadership positions, superintending positions, (10) every choral leadership sponsored by the People, and other glorious services in an unsurpassed manner, with every special honor taking place. Having regarded her family’s grounds for boasting as insignificant, she sought to gain glory through her own beneficence towards the People. Because of this, she voluntarily restored the priesthood of the Mother of the gods. Not only did she accomplish things in a generous, noble and pious manner that equalled other holy women, priestesses, and the older generation, (20) but she also did so in a way that was as great as honor-loving men who hold high-priesthoods and certain other offices involving expenditure, as she was eager to imitate these things. Earlier, she directly arranged important processions, sacrifices, and prayers for the gods at the beginning of the year with cheerfulness. She also supplied magnificent feasts (euōchia) for all members of the Council, for members of the elders’ organization (gerousiastai), for the devotees of the god to whom you sacrifice bulls (Tauriastai; likely Poseidon Taureios), for the physicians (iatroi), and for the children. She also gave a distribution of two denarii to each man among those whose names were called, something which had never been done by anyone else before. (30) She also gave a wine-banquet (oinoposion) to those in the tribes (phylai) according to their arrangement in groups of fifty, and furthermore to the hymn-singers (hymnōdoi), to the craftsmen (tektones), to those from sacred-street (hieroplateitai), and to the Herakles-devotees (Herakleiastai). She did so in a way that matched men with the greatest reputations for loving honor. After this, she most liberally and reverently assisted with every new moon celebration, with all the sacrifices each month, with festivals, and with ancestral prayers. For in so far as she recently accepted the costs of the customary sacred service and, intent on piety, did everything in an honor-loving manner, (40) thinking nothing of these costs, she fulfilled her good reputation without neglect. . . (the remainder is heavily reconstructed but does make reference to the resolution to proclaim the honors and to crown Aba during festivals).